Your European adventure begins with a visit to historic Prague, “the city of a hundred spires.” Embark upon your luxurious river cruise ship in historic Nuremberg and cruise through the Main-Danube Canal to Bamberg. Cruise the beautiful Rhine Gorge, a UNESCO World Heritage Site, stopping along the way to visit charming Rüdesheim and Koblenz. In Cologne, you will visit the city’s magnificent Cathedral before concluding your vacation in Amsterdam, one of Europe’s liveliest capitals. Arrive in Prague and transfer to your hotel. The remainder of the day is free to explore this beautiful city. This morning’s sightseeing tour reveals why Prague is considered one of Europe’s most attractive cities. Visit the 1,000-year-old Prague Castle and St. Vitus Cathedral, then cross the Charles Bridge to the Old Market Square. The remainder of your day is free to shop, mix with the locals at Wenceslas Square or relax at a coffeehouse. Depart Prague after breakfast and drive through the scenic German countryside to Nuremberg for embarkation. Tonight, gather on board your ship for a Welcome Dinner with your fellow passengers. The ship moors in Nuremberg overnight. 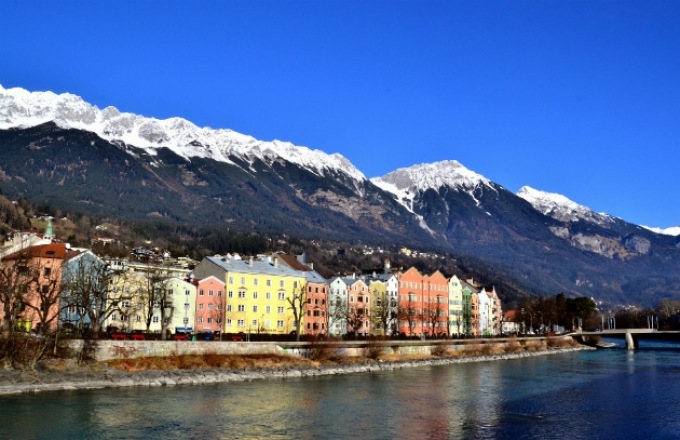 Enjoy breakfast as we cruise through the engineering marvel known as the Main-Danube Canal, which traverses the Alps via 16 locks. Arrive in Bamberg and enjoy a walking tour of this medieval gem, a UNESCO World Heritage Site. Disembark for a guided walking tour and see its cathedral, Old Town Hall and elegant old mansions. Alternatively, you may choose to sample some of Bamberg’s famous smoked beer or enjoy a guided bike tour along the Main River. The ship departs this evening and cruises overnight. This morning you will arrive in Kitzingen for a walking tour. You’ll see the famous Leaning Tower, built during the 13th century, the Old Main Bridge, Kitzingen Church and the Renaissance Town Hall. Later, the Aulic Council and Wine Queen will welcome you to Germany’s oldest wine cellar, where you will taste several different wines and learn about the history of wine production in the region. This afternoon’s guided tour of Würzburg will show you all of the city’s major sights, or you may prefer to visit the Residenz Palace and gardens, a designated UNESCO World Heritage Site. We cruise overnight tonight to Wertheim. Welcome to Wertheim, a quaint German town known for its intricate glassworks and charming medieval architecture. You have your choice of one of three excursions today. You have your option of enjoying a guided walking tour of the historic city center, a guided bike tour along the Main River, or a visit to local bakery for a Pretzel tasting. After lunch, the ship will cruise towards Mainz. This morning, cruise through the picturesque Rhine Gorge, admiring its many castles and fortress ruins and the legendary Lorelei Rock. This afternoon you will arrive in the winemaking town of Rüdesheim where you will have the option to take one of three excursions: wine tasting with a local vintner, a Gondola Ride above the town to see the Niederwalddenkmal Statue, or a guided bike tour along the Rhine River to one of Germany's best wine regions. Afterwards, you’ll have free time to explore the Drosselgasse, the town’s most famous and charming street, a narrow passage lined with shops and taverns. Later this morning, visit Siegfried’s Mechanical Musical Instrument Museum, home to a remarkable collection of old robotic and self-playing musical instruments. This afternoon, your ship departs for Koblenz and cruises through the Rhine Gorge, the most stunningly beautiful stretch of the river, with hillsides dotted with fairy-tale castles. After arriving in Koblenz this evening, your Cruise Manager will take you on a walking tour through this charming town. The ship moors here overnight. The ship cruises to Cologne today, where you will have an afternoon walking tour of the old part of the city and visit the fabled 13th-century gothic cathedral. You will have some free time to explore on your own. The ship departs this evening for Amsterdam. Enjoy a leisurely cruise this morning to Amsterdam, arriving after lunch. You’ll have a guided canal cruise, a city tour of all the top sights, a photo stop at an iconic Dutch windmill and free time to explore this vibrant and colorful city our own. Day 10: Amsterdam – Disembarkation. Your cruise comes to an end as you transfer to the airport for your homeward flight.